Using TX Spell .NET for WPF you can add extremely fast, highly reliable and very accurate spell checking to your TX Text Control based applications. 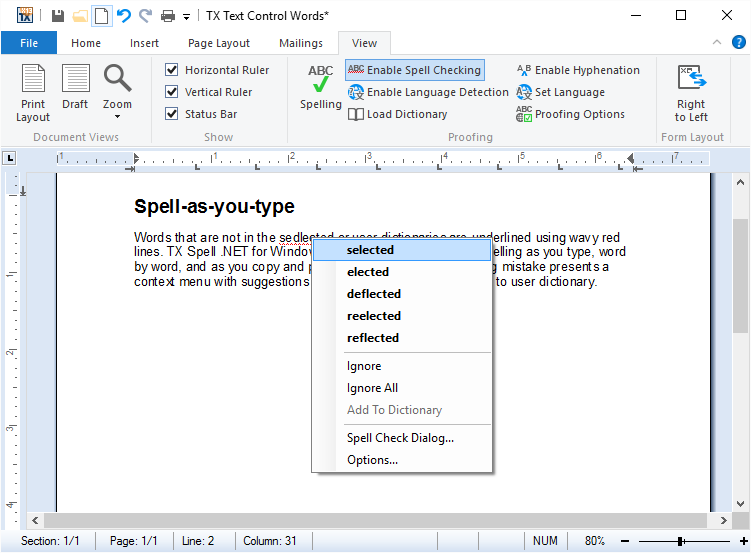 TX Spell .NET for WPF has been tested with over 60 freely available dictionaries. American English is shipped as standard - you don't have to pay extra for additional languages. 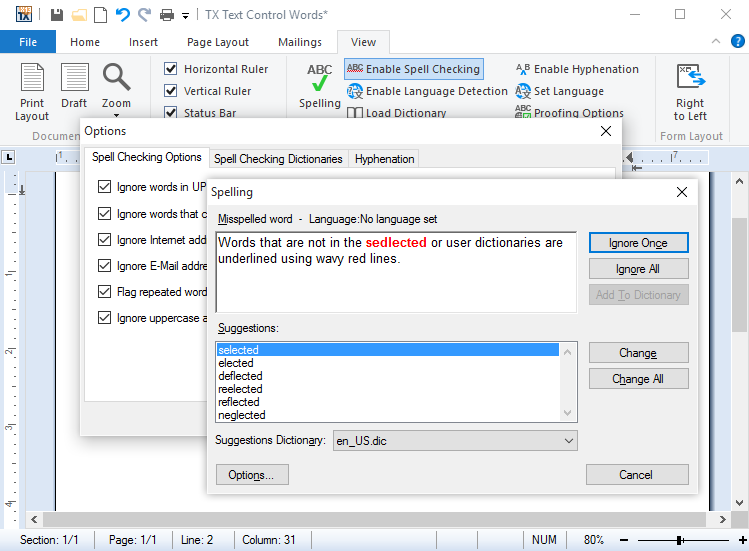 Unlike most spell checkers, TX Spell .NET for WPF supports multi-lingual documents. TX Spell .NET for WPF supports language detection. 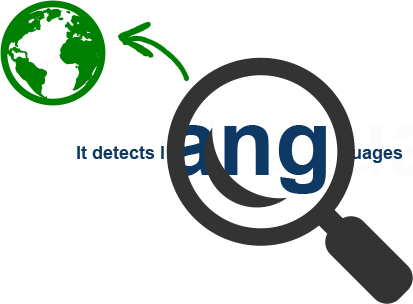 Language scopes from a given string or complete document for more than 30 languages can be detected. Using TX Spell .NET for WPF you can add extremely fast, highly reliable and very accurate spell checking to your TX Text Control based applications. Integrating TX Spell .NET for WPF into TX Text Control requires no code - it can be easily connected using the Visual Studio designer. 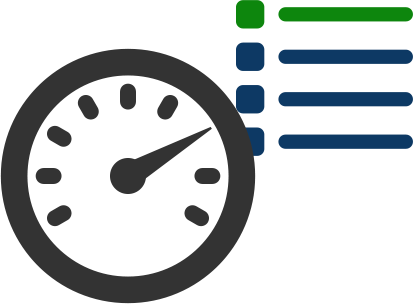 With more than 50.000 words per second, TX Spell .NET for WPF is the fastest spell checking engine for WPF. Words that are not in the selected or user dictionaries are underlined using wavy red lines. TX Spell .NET for WPF persistently checks spelling as you type, word by word, and as you copy and paste. Unrecognized words and specialist vocabulary, such as legal or medical terms, can be added to a user dictionary. 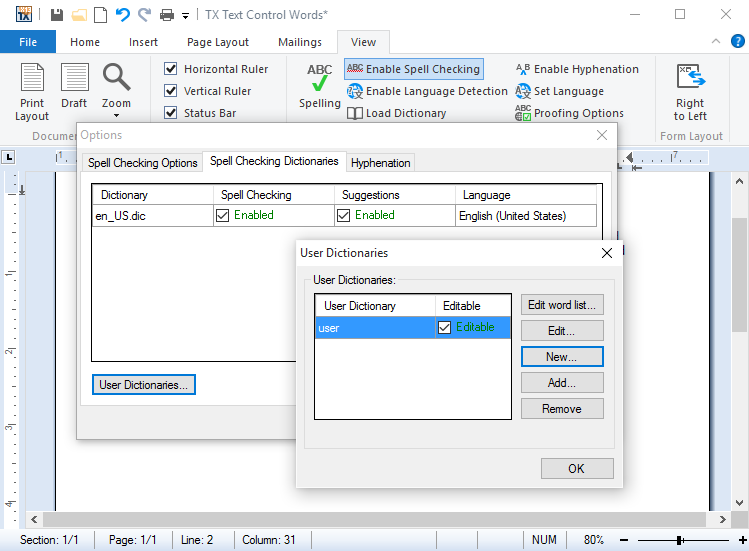 To assist end-users maintain their user dictionaries, TX Spell .NET for WPF ships with a user dictionary editor. 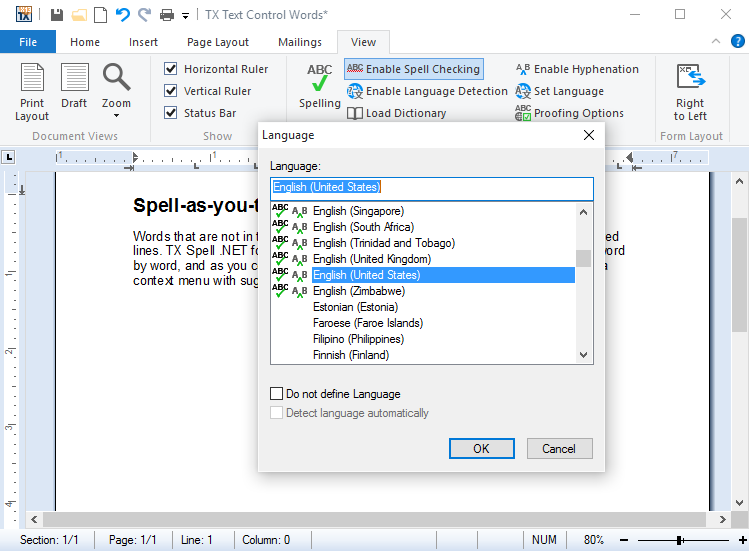 Unlike most spell checkers, TX Spell .NET for WPF supports multi-lingual documents. For example, it is possible to check a document, which contains English, German, French and Spanish text without having to manually switch between dictionaries. TX Spell .NET for WPF provides different methods to hyphenate words in multilingual documents. It returns the hyphenation point before a specific divide position or an array of all hyphenation points for a defined word. TX Spell .NET for WPF supports language detection. Language scopes from a given string or complete document for more than 30 languages can be detected. 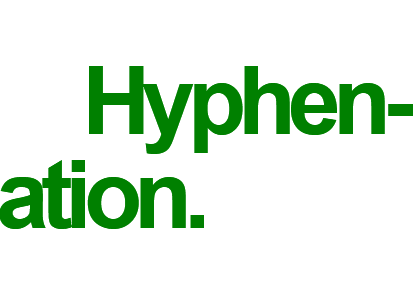 The algorithm supports nested scopes such as bracketed text or bi-directional text in various, mixed languages.